Sign up for our newsletter to receive emails about our upcoming workshops including special classes, women’s circles, art meditations, and more! Click here to reserve your spot today for any of our upcoming events! with Vanessa – Click here to sign up now! 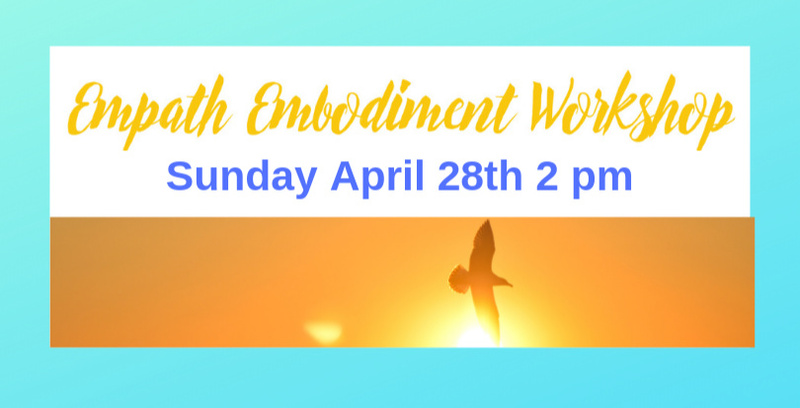 This will be a supportive and fun experiential workshop for Empaths and sensitive souls to have space and time to BE, find more energetic freedom, and come away with powerful and essential tools for their everyday lives. Wear clothing you can stretch and move in. Bring a yoga mat (mats available), water if desired, pen and paper. Approx. 2hrs. Sign up here for info on special classes, workshops and upcoming events!